The focus of this article is on Britains debt dynamics as the people of Britain continue to be bombarded with propaganda in respect of the unfolding Inflationary Depression that the country has been immersed in since at least early 2008. In terms of politics, propaganda takes the form of declarations for ever greater needs for economic austerity by the Coalition government whilst the Labour party as usual takes the opposite line, when the reality is that there has been no real net economic austerity in Britain, as there has been no cut in government spending and hence the deficit continues to persist let alone any actual repayment of debt that continues to expand by about £120 billion per year. Meanwhile the Bank of England continues to play its role in the economic propaganda war by playing the always imminent deflation card that is regurgitated at length by academics and pseudo economists in the mainstream press when the reality is that the UK as is the case for most western nations such as the US is immersed in an exponential inflation mage-trend that results in the stealth theft of wealth to finance government spending for the purpose of buying votes. "Here’s the truth: the damage was worse than we thought, and it’s taking longer than we hoped. The world economy – especially in the Eurozone – has been much weaker than expected in the past two years. When some of our big trading partners like Ireland, Spain and Italy are suffering, they buy less from us. That hurts our growth and makes it harder to pay off our debts." Fact - No Debt has been repaid, Instead UK government debt continues to accumulate at the SAME rate as it would have done under a Labour government. "we have cut a quarter off the deficit in the past two years. 25 per cent. That’s helped to keep interest rates at record low levels... ...keeping mortgages low." Fact - The reason why interest rates are low is because the Bank of England is supplying the banks with cheap money and then buying UK government debt from the banks, thus forcing market interest rates down. The Coalition Government actions in terms of cutting the deficit have had no impact on UK interest rates because the deficit has NOT been cut and in fact by the end of this financial year (2013), the deficit looks set to be higher than during the Coalition governments first year in office. Understand this that economic austerity only exists as sound bites for the mainstream press to regurgitate, as the UK Coalition government's spending continues to grow each year which means that the deficit persists virtually unchanged as the below original debt graph illustrates that so far the coalition government has done nothing that the Labour government would not have done in terms of the debt and deficits which remain on the SAME trajectory i.e. total debt is expected to hit £1.2 trillion by March 2013 which is set against the March 2010 Labour budget projected debt of £1.19 trillion, which illustrates the illusion that there is any difference between the political parties in terms of debt and deficits, as a consequence of Britain's debt based economy where the reality is that most of what you see in the mainstream press just amounts to over-hyped tinkering at the edges. Of course total government debt is actually over X4 higher then official public debt at about £4.8 trillion for 2012-13, which is set against my forecast of May 2009 of £4.7 trillion for 2013. In additional to public debt and liabilities there is also private sector debt of banks, corporations and individuals that is estimated to be between £6 to £8 trillion, given the fact that the bankrupt banks alone are still sitting on approx £4 trillion of debt, thus total UK debt is estimated to be between £11 and £13 trillion. Is the Coalition Government Cutting the Deficit as It repeatedly States? What the graph clearly shows that the UK government has once more LOST control of the budget deficit, because instead of the deficit falling to around £90 billion for 2012-13, the government will be luckily if the deficit comes in under £130 billion. Furthermore this trend for expanding deficits is expected to persist going into the May 2015 election as the Coalition government ramps up government spending to buy votes, therefore there is a high probability that the deficit could yet expand further, the net effect would be for a total accumulative additional budget deficit of well over £200 billion more than government expectations. The following graph illustrates the difference between the Government's Debt to GDP trend expectations and the real debt dynamic reality (excluding bank bailouts) of out of control budget deficit, the government forecast, and my original expectations of June 2010. The graph has been updated to show my expectations for Debt to GDP to rise to 79% by 2015-16 as a consequence of persistently high budget deficits that look set to average £110 billion per year, instead of £80 billion per year. The government is set to spend an estimated £683 billion for the current financial year 2012-13, that is currently running an ANNUAL £128 billion deficit, i.e. the government will this year spend £128 billion more than it earns in revenue which is contributing to towards Britains inflationary depression. My analysis of October 2010 (UK Public Sector Spending Cuts Impact on Deficit, Debt, Unemployment and Economy)forecast that government spending would continue to grow to £739 billion by May 2015 and so far the Government in the preceding TWO years has done nothing in terms of cutting government spending to alter this trend trajectory despite all of the cuts propaganda to date. The NHS is the Governments largest departmental expenditure, for instance NHS spending now stands at £127 billion (2012-13) and remains on target to expand to at least 140 billion for 2014-15. The NHS budget under Labour had grown from £40 billion in 1997 to £120 billion by the time of the 2010 General Election. NHS budgets increasing in line with inflation (CPI) would have seen the budget rise to stand at £51.6 billion, and probably nearer £60 billion to allow for an ageing population. So the Labour government in effect spent an extra £60 billion a year. Against this extra spending instead of Briton's experiencing the health benefits of effectively paying for TWO NHS's, the NHS has experienced year in year out loss in productivity, i.e. the more the government spends on the NHS the LESS output the NHS delivers as more tax payer funds disappear into the NHS black hole. In theory this suggests that the NHS budget could in-effect be halved to back towards £60 billion and still deliver a functional health service that the country could actually afford. Off course that is not going to happen, but still a mere 10% cut in the NHS budget would contribute some £12 billion of annual savings from what amounts to an out of control spending black hole that like a cancer is eating away at the British economy. However, both major political parties stubbornly stick to the policy of not only not cutting spending on the largest spending departments of Education or the NHS but seeking to continue to GROW these budgets over the coming years. Similarly both parties have pledged to grow pensions and neither can I see how welfare can be significantly cut as unemployed will remain unemployed until they get a job. Furthermore debt interest at £50 billion per year is expected to continue to grow inline with each month the government racks up another large deficit, which therefore adds to the annual government spending totals. Government spending at approx 20% more than revenue (£128bn/ £383bn) continues to represent out of control spending that risks severe consequences, including state bankruptcy i.e. debt default. In response to this politicians of all parties continue to lie for the duration of the current parliament by repeatedly failing to identify where and how this deficit will actually be cut. During 2011 a Channel 4 News investigation illustrated Coalition Government incompetence by charging NHS Doctors with the subversion of the the coalitions governments NHS reforms to result in NHS doctors pocketing all of the cash saved as a consequence of the reforms, which matched my own analysis of a year earlier that the Coalition Governments proposed reforms were fatally flawed in that they allowed GP's to profit from patient care. Serious flaws in the Governments NHS reforms legislation, it's failure to protect patients against fundamental conflicts of interest, it allows GP's to put profit before patient care. All of the monies saved will go into the pockets of NHS GP's and doctors. GP's during patient consultations factoring in the profit they will make on their diagnoses. GP's referrals on the basis of how much commission they will earn from the heath institution. GP referrals to health clinics that the GP's own shares in. GP's get access to dip their hands into the annual £80 billion pot of money meant for patient care. GP's draw up the rules themselves on the conflict of interest, akin to writing 100 times, "I promise, I will not fiddle the patients"
Under the previous Labour government patients were treated as credit cards to swipe in and out of door ways as fast as possible to maximise profits. Under the Coalition government patients will now become cash cows to milk to the fullest extent possible, what's best for the health of patients won't even factor into the thought process during GP consultations - "If I send Patient X to Clinic Y for Operation Z, my consortia will earn a commission of £2,000". The city of Sheffield illustrates how the implementation of Coalition government reforms is proving to result in the exact opposite anti-competitive consortia's, as virtually all of the Sheffield NHS 92 GP Practices have signed up with one of of 4 geographically located GP Consortia's. The NHS GP reforms being implemented are pushing towards the worst of both worlds, i.e. 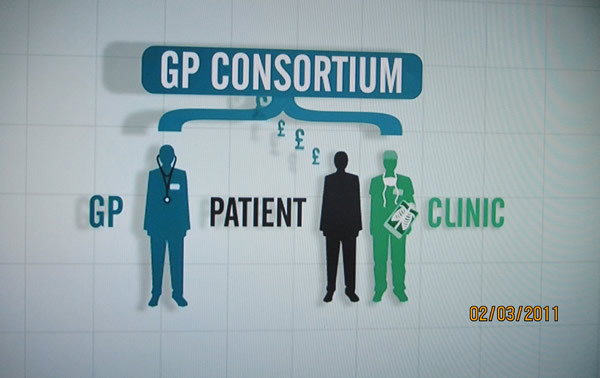 no market competition and unprecedented GP control over NHS funds that in significant part will be funneled into the back pockets of NHS GP's via Consortia profits being paid out as dividend's to GP partners and eventual huge windfall profits of several million pounds per GP as consortia's are floated onto the stock market. The Public sector comprises some 50% of the economy that acts as a noose around the economy that strangles competitive industries and entrepreneurship, because one cannot compete against subsidised public sector services that exist purely to accumulate debt. Many may argue the case for economic austerity reducing the size of the public sector, however all that has happened is that services have been slashed in an attempt to retain as many of the public sector jobs as possible, thus leaving diminished funds for actual front line services. The only answer / solution that governments have remains as I have iterated many times over the past few years, that for the stealth default by means of high real inflation, and hence the Inflation Mega-trend. Inflation is a REQUIREMENT for the Debt Based Economy, this is how governments keep putting off the day of reckoning by inflating the debt away and then borrowing more money to service the debt interest which is why virtually all money in an economy is debt money that will NEVER be repaid. When George Osbourne and David Cameron are telling you that they are paying down Britain's debt, they are LIEING! NO GOVERNMENT DEBT IS BEING REPAID OR WILL EVER BE REPAID! You should by now be realising that the over-whelming commentary about the threats and risks of debt deflation are nothing more than propaganda so as to allow policies such as quantitative easing (money printing) to be more palatable to the general populations so as to ensure that the Inflation Mega-trend continues, therefore a good 90% of what you read in the mainstream press which is regurgitated by the blogosfear is pure propaganda. 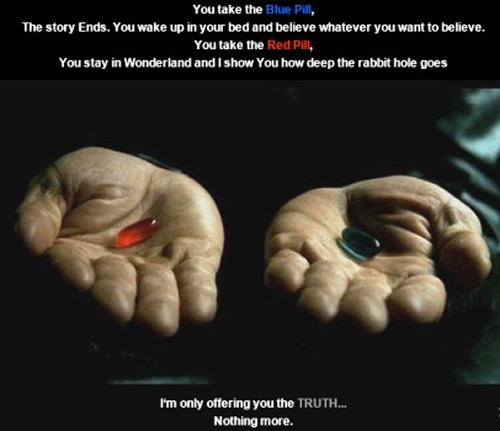 It is time for another one of my Red pills (your choice), but be warned this time I am going to take you even further down the rabbit hole than is usually the case. This is where we once more leave behind academic analysis of UK debt that the mainstream financial press and which government propaganda / politicians focus upon, but instead take a look at what is really going on with regards Britain's debt dynamics, because the picture we get is very different to the one I have just extensively painted above when we bring what I termed as the Quantum of Quantitative easing into the picture ( 20 Jul 2012 - The Quantum of Quantitative Easing Inflation is Coming! ). First a reminder of QE, to date the Bank of England has officially printed QE of £375 billion, plus another £80 billion that goes by the name of funding for lending, plus at least another £50 billion of behind the scenes off balance sheets loans to the Bankrupt banks that date back to as long ago as April 2008 that are continuously rolled over which means that the total QE is at least £505 billion of which approx 75% is being utilised to to buy UK government bonds. The policy of QQE has subsequently been seen to be made manifest as illustrated by the recent announcement that the Bank of England has transferred it's first installment of £35 billion in interest received form the government back to the UK Treasury, which is then used as income to finance government further spending. The effect of this is to make it very problematic in forecasting official debt to GDP because as of writing we do not know the timings and amounts of such 'windfalls'. However, in all probability the UK Government will eventually start to follow the example of US and Japan and seek quarterly 'windfall' payments which amount to approx £12billion a year and will increase inline with future QE debt monetization. Thus to date the Bank of England has monetized government debt to the tune of approx £375 billion (31%) of the total debt mountain that stands at £1.2 billion in perpetuity, because the monetized debt will never be repaid but constantly rolled over, and left for inflation to do its job by eroding its value away. The effect of this is as I have illustrated above that the government is thus currently paying itself interest on approx 1/3rd of its own debt which effectively means that the Bank of England has cancelled 1/3rd of Government debt to date, this despite it continuing to officially exist in terms of debt statistics, but to all intents and purposes it no longer has an impact on government finances which is why market interest rates remain low. Now before you start to wonder wow, 1/3rd of government debt as if by magic has now disappeared in a puff of smoke, you need to realise that the consequence of both QE and QQE is INFLATION, as the economic consequences of flooding the economy with money (government deficit spending) that is NOT been backed up by any productive activity. i.e, the money that the government is printing on the likes of the benefits bill, NHS, pensions have not been produced by anyone but rather conjured out of thin air, and without the market interest rate consequences by virtue of the Bank of England buying this flood of debt i.e. taking it off the market, and effectively canceling it which is contributing to an accelerating exponential Inflation mega-trend that over time seeks to erode the value of all debt. The rate of QE since March 2009 has been averaging at about £120 billion per year, which approximately covers the whole of the governments budget deficit and therefore ALL of the new deficit debt that is being issued on an ongoing basis is being effectively cancelled and there is no sign that this trend is going to end anytime soon, especially in the run up to the 2015 election as the Collation government will increasingly attempt to buy votes with further money printing QQE. Therefore my Debt to GDP graph has been updated to illustrate the impact of QE to date, and additional QE of at least £75 billion per year into 2016, and then coupled with the policy of of QQE effective debt cancellation that translates into a truer picture of Britain's public debt burden that also takes into account the inflationary consequences in terms of inflating GDP that depresses debt to GDP. Therefore UK REAL Debt to GDP Burden is currently approx 40% of GDP (against 70% official), and is expected to rise to just 43% by March 2016 as opposed to my forecast of 79% on the official statistics as a consequence of the effective cancellation of approx £600 billion or 40% of outstanding government debt by 2016. The above in a nutshell singularly acts to condense down the impact of QE, QQE and Inflation on Britain's actual government debt burden that blows apart ALL of the academic economic models that focus wholly on academic theories of debt and gdp without taking account of the critical factor of QQE that respective governments such as the UK, US, Europe, Japan and elsewhere have been engaged in since at least early early 2009. This turns the economic world literally upside down whose primary consequences that contrary to what the academic models constantly imply that deflation is always imminent, the reality is the exact opposite, that QQE as I warned in July 2012 implications are for an acceleration in the respective Inflation Mega-trends as the price paid for effective debt cancellation. The government has to go through the pretence that QE is just temporary that at some point will be unwound, and that monetized government debt still exists and will be eventually repaid, for anything other than having such an official view would result in a series of market panics for all financials denominated in sterling, because the market would discount the future, the market will make the consequences of future QE far more severe as they will discount it as pure monetization of government debt that the Bank of England aims to cancel. Therefore sterling will enter into a steep downtrend and inflation would soar, and not forgetting that technically officially canceling Britain's debt would make the Bank of England insolvent, as a consequence of assets it holds ceasing to exist, and then what can of worms would that open up for Britain's financial system? Likely Britain's credit rating would fall to somewhere between that of Greece and Spain's. 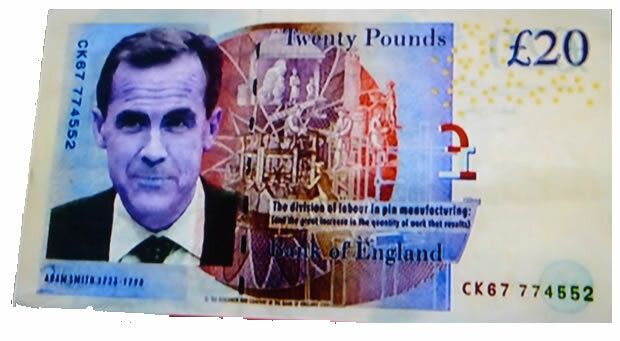 Would the people of Britain still have any faith in using a bankrupt Bank of England's bank notes as a means of exchange for goods and services ? So it does appear to be infinitely better for the stealth cancellation of debt, and to instead let inflation erode its real value away whilst the Bank of England returns the debt interest it receives on the government debt it holds back to the UK Treasury. Smoke and Mirrors! QE debt will never be unwound for the obvious reason that there is no market for it! So if public debt is only about 40% of GDP instead of 70%, then why do all major political parties lie to the public ? Whilst the obvious reason is to hide the truth of money printing fraud and inflation consequences in terms of the risk of loss of confidence in fiat currency. However one of the primary reasons why the coalition government is perpetrating QQE through a myriad of smoke and mirrors is ideological, i.e. the Coalition Governments wants debt to GDP to be high so that it can use it as an effective reason for dismantling Labours 6 million strong public sector gravy train and benefits culture pool of voters. Therefore understand this that the debt is NOT the reason for the benefits and public spending cuts programme but Tory ideology, as their aim is to maintain the deficit and debt as a consequence of low taxes. Similarly the ideology of Labour is to go on a deficit spending spree as soon as they get elected so as to rebuild their vested interest public sector workers and benefits claiming voter pool. So neither party wants total debt to shrink. Instead both parties (all parties) want to utilise debt to buy votes. The below graphic illustrates why not only deflation is not possible but also why inflation will continue to surprise the clueless academics and pseudo economists that most of the population are exposed to courtesy of the the cycle of Government deficit spending, debt printing, Bank of England money printing debt monetization programme that is feeding the exponential Inflation Mega-trend. QQE allows the government to maintain its budget deficit as a % of GDP with impunity as more and more of the debt gets monetized, and which I forecast to reach 40% of total debt by March 2016. As the government effectively has ceased to pay interest on that portion of national debt thus resulting in an effective lower Debt to GDP burden. However the fact still persists that the continuing deficit spending is not backed by any economic activity, and therefore it is just an increase in fiat currency in circulation that is chasing the same goods and services. Which means that each years annual deficit translates into another wave of money printing inflation, just as I I have been warning for over 4 years now and as illustrated at length by the Jan 2010 Inflation Mega-trend Ebook (FREE DOWNLOAD), that the only solution the governments have is to print money, no matter what they call it, be it loans, deficit spending, transfer payments, Quantitative Easing or printing debt (government bonds), because as the accumulative debt graphs illustrate that DEBT IS NEVER REPAID, but constantly rolled over and added to. This is the policy that ALL governments are engaged in that results in the debasement of ALL fiat currencies where all we witness in the exchange rates is the differing rates of free fall between currencies. High UK Inflation for the past 3 /12 years illustrates the tendency of the mainstream press to basically regurgitate the views of vested interests that have beaten the drum of always imminent DEFLATION for the whole of 2010 and 2011 as high inflation was always just temporary and should be ignored by the general population, which is the precise message that was still being bleated out by the mainstream press right up until the shock rise in inflation for October 2012. The connection that the mainstream press has never been able to make is that the Bank of England does NOT make Forecasts. Instead the Bank of England quarterly inflation forecast reports are nothing more than ECONOMIC PROPAGANDA, that virtually always converge towards the Bank of England achieving its 2% Inflation target in 2 years time, despite the fact that historical analysis shows that the Bank of England FAILS in achieving its 2% target 97% of the time, this is something that I have repeatedly exposed during the past 3 years following virtually every quarterly Inflation report. The fundamental flaw in economic theories as espoused by academic economists and regurgitated at length in the mainstream press is the obsession over the collapse in Demand as a result of Recession / Depression without the ability to realise that the destruction of Supply is always GREATER. Because in the west when people lose their jobs, whilst the may cease producing, the however are still consuming i.e. food, travel, energy, and general consumption goes on, which are financed through debt, sale of assets and off course the main government payments. So whilst production reduces but in many respects consumption goes on resulting in INFLATION, because no matter what the governments call it they are effectively printing money to finance the ongoing consumption of the increasing number of un-productive persons. Therefore the Deflation theories that forecast there MUST be deflation because of the destruction of Demand are ALL WRONG and so are their policy responses which are GUARANTEED to ignite HIGH Inflation, which is PRECISELY what we have been witnessing in the UK and elsewhere. The bottom line is this that Governments need inflation to survive (buy votes), so they will never allow Deflation to persist and they have the money printing presses to ensure there will NEVER be a persistent trend for Deflation, which is why even Bankrupt economic meltdown Greece of today has had Inflation, as I wrote in the intro to the Inflation Mega-trend Ebook well over 2 years ago (Free Download). "The worlds economies swim in an ocean of inflation that is punctuated by occasional ripples of deflation which is illustrated by the perpetual upward curve of general prices as measured by the Consumer Price Index (CPI). Inflation in the long-run impacts on virtually all commodities and asset prices. " Whilst the mainstream press and academics WHOLLY focus on the annual CPI Inflation graphs, the reality is that of an exponential inflation mega-trend as illustrated by the below graph that shows that despite the British economy having been in economic depression for the past 4 years, yet it has still suffered inflation of 15%. The bottom line is that Britain rather than having a Debt Crisis instead has an INFLATION Crisis. As most people have been successfully brainwashed by relentless propaganda to believe that Inflation is good and deflation is bad. WIll Mark Carney New Bank of England Governor Make Any Difference? The Coalition government blinked by throwing out the Cities favorite Paul Tucker and instead appointing Mark Carney, the first foreigner in the Bank of England's 318 year history to replace Mervyn King as the next Governor of the BoE, whose term office in virtually every respect has been a complete and utter failure, be it failure to regulate Britain's banking sector that continues to be a drain on UK tax payers, failure in terms of UK economic performance and not forgetting the failure of the BoE's primary remit of keeping CPI Inflation at 2%, instead we have seen inflation soar to over 5% despite economic depression. Therefore the mandarins at the Bank of England will have been shocked to see that their favoured candidate the Deputy Governor of the Bank of England, Paul Tucker, 'Mervyn King Mark II' for business as usual to have been sidelined and so were everyone else who may have been tainted by Britains' criminal banking sector. In making false submissions about their borrowing costs, managers at Barclays believed they were operating under an instruction from Paul Tucker, deputy governor of the Bank of England, I have learned. This belief was fostered after a telephone conversation in the autumn of 2008 between Mr Tucker and Bob Diamond, who at the time ran Barclays' investment bank, Barclays Capital, and is today chief executive of Barclays. In finding Barclays guilty of attempting to manipulate the important LIBOR borrowing rate, the benchmark rate for bank-to-bank lending, the Financial Services Authority (FSA) made an elliptical reference to this conversation. The relevant passage from the FSA's judgement against Barclays talks of a "telephone conversation between a senior individual at Barclays and the Bank of England during which the external perceptions of Barclays' LIBOR submissions were discussed". I have established that the conversation was between Mr Diamond and Mr Tucker, who is a leading candidate to succeed Sir Mervyn King as governor of the Bank of England. Will Mark Carney Make Any to Britains Money Printing QQE High Inflation Trajectory? Under Mervyn King's governorship, the The Bank of England's primary objective has been to pump out economic propaganda of always imminent deflation so that it could get away with ramping up the Inflationary money printing presses (electronic) to both bailout the banks and to monetize the UK governments deficit and rolling debt mountain. Whilst Mark Carney is said to be an outsider to the London bankers club, however he still has close links to the banking establishment as illustrated by having worked at the London office of Goldman Sachs. Also the main problem that I see is that whilst he may well be tougher on the banks than Merryn King ever was, i.e. in terms of banks being pressurised to lend to small businesses, however in terms of impacting on the programme for money printing government debt monetization, he will only make a marginal difference because it is what all Governments request from their central banks, which is to print money / debt so that politicians can buy votes at elections, and with the next general election just 2.5 years away, the last thing on the Coalition governments minds will be any vote losing policies such as cutting bank on the QE drug that the economy is hooked on,that has now morphed into the next stage - QQE. 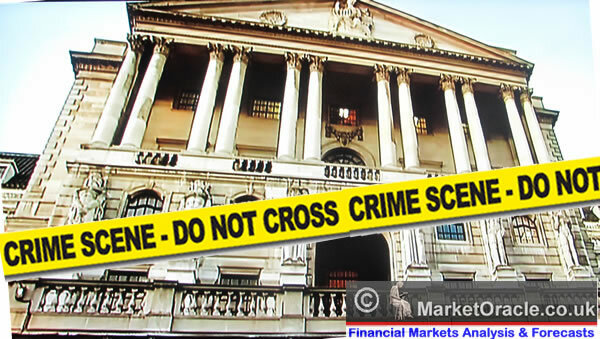 Therefore there will be no real change to the high inflation consequences of the continuing policy of QQE that the government and Bank of England are so eager to hide from the general public lest the fiat currency fraud starts to unravel the consequences of which would be ultimately be an hyperinflationary panic event. The bottom line is that QQE means that UK REAL Debt to GDP Burden is currently at approx 40% of GDP and is expected to only rise to 43% by March 2016 by virtue of the effective cancellation of approx £600 billion or 40% of outstanding government debt. The consequences of the government spending money which is not backed by either economic activity or market mechanisms (interest rates) is highly Inflationary as it amounts to a continuous trend for the debasement of currency, which is what governments of all political parties engage in regardless of differing ideologies. I.e. The Tories use high debt to gdp ratios to warn of the need for economic austerity to cut the public sector and benefits. Whilst Labour use high debt to gdp as an Keynesian excuse to expand the size of the economy through the public sector (implying debt to GDP will fall), both ideologies actions are motivated by attempting to buy votes. Current probability significantly favours Labour winning the next general election, following which they will go on an a mega spending spree because real debt to GDP will be just 43%! That means we are in for a pretty big post May 2015 inflationary boom as the Tories look set for a repeat of 1997. 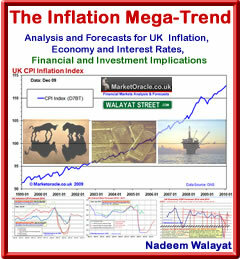 My next article in this series will seek to look at the probable impact of wages and unemployment on Inflation. To get this analysis in your email in box, ensure you are subscribed to my always free newsletter. 10 Dec 12, 15:17 BOE Bankrupt? It is impossible, the BOE electronically create a cash position and then buy real assets (govt bonds with the electronic creation). They cannot become bankrupt from the govt taking the interest because they had no cash position to begin with, it was created from thin air. I agree with the rest of your article hard assets all the way including property for the rental increases. The BOE would be bankrupt because that is how the banking system works. The BOE has expanded its balance sheet, on one side it has assets - Gov Bonds, on the other side it has liabilities - money it has created and credited to the commercial banks to buy gov bonds. So the bonds cannot be officially cancelled only effectively cancelled i.e. return of interest payments recieved. AND there is the big elephant that no one is talking aboutwhich really deserves its own article. The Bank of England is BUYing government bonds to drive DOWN intereest rates. That means the Bank of England is sitting on a huge capital gain of what ? £80 billion ? That I am sure the greedy fools at the UK Treasury or thinking of a means to get their hands on it ahead of the next election. It really is Alice in Monetary Wonderland!